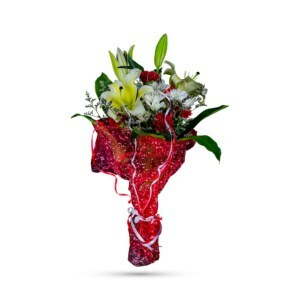 Bask in a warm glow of love and take a walk today through the plains of your home with our exotic bouquet – Walk in the Sunset. 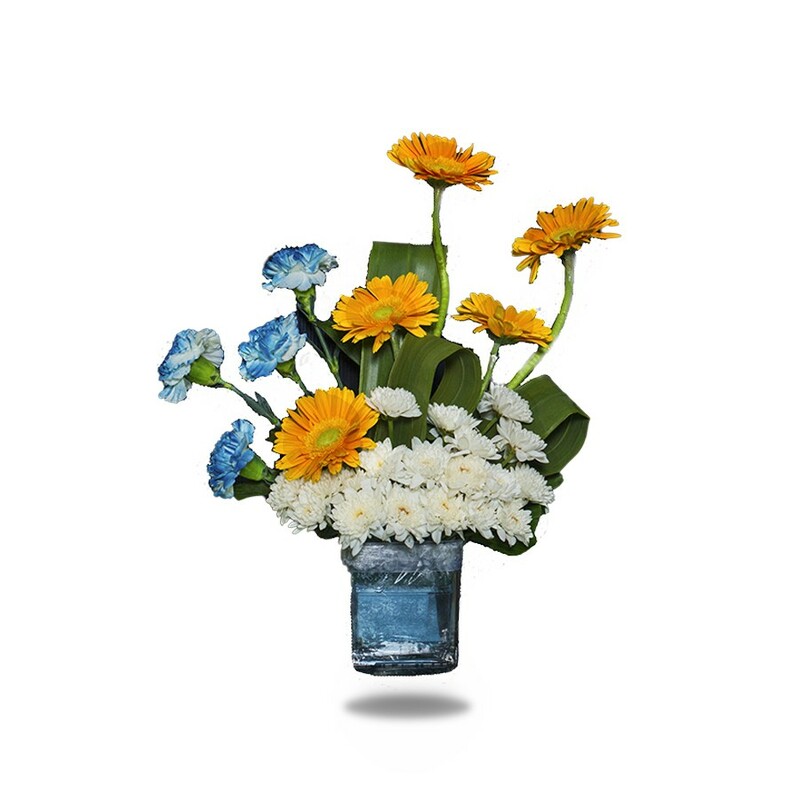 Beautiful yellow-orange gerberas, white and blue hybrid carnations, and miniature white chrysanthemums styled with fresh green leaves and arranged in our cube glass vase. This cheerful mix of dazzling flowers is a bright reminder of how much you care and will bring the beauty of a beautiful sunset. 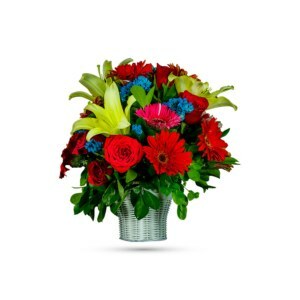 Celebrate mother’s day or thank someone or bring someone get well flowers by presenting our breathtaking bouquet. 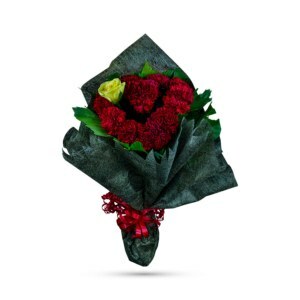 Order it online and receive it at your doorstep by our local florist. 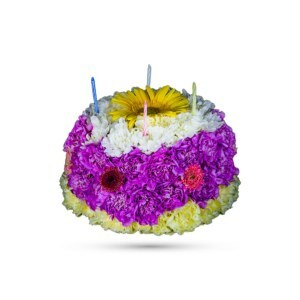 Add a splash of color and bring warmth to your or your loved one’s room today.